Recently been asked about 10GbE networked solutions for shared storage for multiple 4K edit suites. 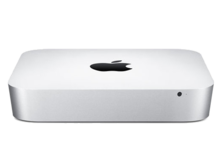 There’s many different solutions on the market, but here’s a fairly economical option using a Mac mini $1,250. The heart of any economical solution is Thunderbolt Raid storage. If you wish to serve multiple workstations, the faster the storage the better off you’ll be, so any storage device with more than 8 spinning hard drives will provide superior performance. Dynapower USA Netstor 16-Bay Thunderbolt 2 Storage $2,149 is a 2U 16-Bay Thunderbolt 2 Storage and PCIe Expansion unit that can house the Mac mini as well as providing 3 PCIe expansion slots and 16 SATA bays for 2.5″ SSD or hard drives. I fill the case with 16 x Samsung Seagate Spinpoint M9T 2.5” 2Tb drives $139 ea. Each of these drives delivers 120Mb/sec, so in a Raid 5 configuration it will come quite close to maxing Thunderbolt2’s bandwidth. 30Tb is perfect for most small productions. Optionally, we could use 16 x Seagate 4TB SATA Laptop Drives (ST4000LM016) 2.5” 2Tb drives $245 ea. to build a Raid of 60Tb. 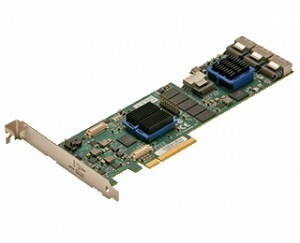 I’m using an ATTO ExpressSAS R60F Raid adapter $895 for the Netstor case. ATTO make great hardware, and Apple usually includes all drivers for ATTO products in each version of their Operating System, so not only do you get great Mac compatibility, but upgrading is easier as well. Next, I add an ATTO NT12 RJ45 10GbE card. This features two RJ45 connectors, so any Cat6a or better networking cable is all that is required, and using link-aggregation on the Mac mini, we can easily achieve 20GbE. I recommend a Cisco SG500XG switch $3,182 as the backbone for any small 10GbE network. It’s backbone is fast and it’s a reliable heart for your network solution. Buy Cisco SG500XG here. So, for a little over $12,000, you can build 32 Tb of fast 20GbE Network storage … or if you just had 4 workstations, you could forgo the 10GbE switch and just get a second dual 10GbE network card and do 10GbE to 4 workstations, rough cost $7,900 + exchange and tax. That’s getting pretty awesome. Any shared storage solution requires a good authentication scheme. OS X server’s Open Directory, part of the Server app handles this, a $28 app store add on to OSX on the mini. Girafxmedia can help you configure Open Directory on OS X server to serve authenticated AFP and SMB 10GbE shares! NFS shares are even possible too.